Patrick Joseph Commins, 1908. Image courtesy State Records Authority of NSW. 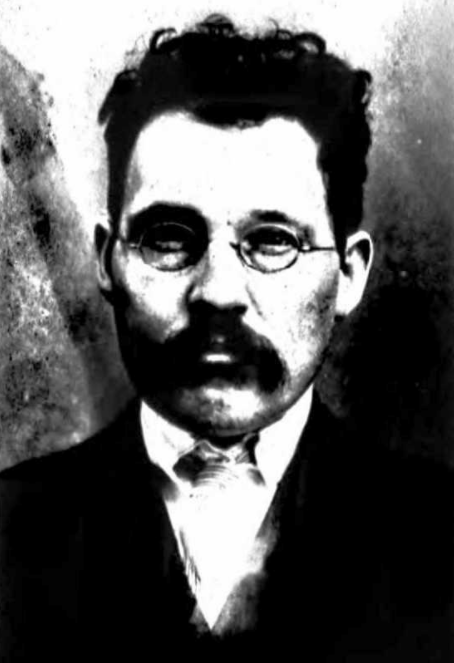 Patrick Joseph Commins was born in Springside in 1871, the seventh of thirteen children born to Thomas Commins and his wife Bridget nee Kennedy. Thomas Commins, a native of County Clare, had migrated to Australia to seek his fortune in the goldfields at Ballarat. In 1854 he was managing the Working Miners’ Claim at Sebastopol Hill and played an active part in the Eureka Stockade. By 1870 the family had relocated to Beneree at Springside, where, in 1888, Thomas died. Patrick was educated at St Stanislaus College in Bathurst, where he excelled at both cricket and football. Following his education Patrick worked as an article clerk with Orange solicitor Simon Kearney, and later with the Sydney firm Curtis and Barry. In November 1896 he was admitted as a solicitor to the Supreme Court and established a legal practice in Coonabarabran. On 12 January 1898 married Mary Teresa (Molly) Sedgwick at St Mary’s Church in North Sydney. The couple had one daughter, Olga Mary, born in 1910. In November 1899 the Mudgee Guardian and North-Western Representative described Patrick as “one of the smartest young solicitors in the West … It is a pleasure to be in court when this young advocate is conducting a defence”. And in 1904 as “Coonabarabran’s model solicitor”. On 30 November 1906 Patrick was issued with an interim injuction from the Equity Court, restraining him from dealing with certain book debts, documents, and securities. On 21 May 1907 he was suspended from practising for eighteen months due to irregularities and money repayments due. Patrick was tried and convicted of forgery on two occasions, in Gunnedah on 23 September 1907, and in Coonamble on 19 March 1908. He served two years at Goulburn Gaol for these offences. In 1916 Patrick was working as a farmer at Hughcum Farm at Tamworth. On 28 March that year he enlisted at Armidale and was assigned to the 3rd Battalion, 2nd Reinforcement. He proceeded to camp at Armidale and later Rutherford, before embarking from Sydney on 4 September 1916. Private Commins served in England and France and was appointed acting Corporal and acting Sergeant during his service. He returned to Australia in January 1919 and was discharged from the AIF the following month. Between 1930 and 1954 Patrick worked as a farmer at Castle Hill. Molly passed away in early 1950, aged 80. Patrick passed away on 9 May 1958 at Concord Repatriation General Hospital, aged 87 years. He is buried in Macquarie Park Cemetery. Patrick Joseph Commins is commemorated on the Patrician Brothers’ Roll of Honour and St Joseph’s Church Orange Honour Roll. Two of Patrick’s bothers also served in WWI: Francis Bede Commins and James Commins, both of whom were killed in action. This entry was posted on January 24th, 2018.